From design to finished landscape, we offer a wide range of premium services expertly tailored to match your lifestyle. A professionally designed and built outdoor living space is the most modern and sought after way to expand, enjoy, and increase the value of your home. Review our extensive list of high end services for outdoor entertainment, relaxation, and recreation. The quality of the plan determines the quality of the outcome. See why Exact Landscapes’ approach to personable consultation and 3D design sets our team apart for large, sophisticated projects. You need the right landscaping team to bring your vision to reality. Above and beyond our award-winning craftsmanship, learn what makes our team different when it comes to reliability, efficiency, customer service, and attention to detail. Studies show that a well designed outdoor living space has numerous physical and mental health benefits. So go play outside, enjoy the fresh air and relax with friends, family or a good book. It’s time to treat yourself. Our landscapes are designed to help you do just that and so much more. 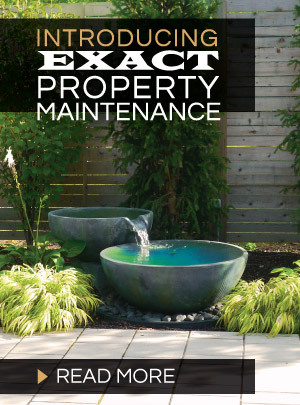 It is no wonder Exact Landscapes has been recognized and awarded for the quality of our craftsmanship and top-of-the-line client services. Just read some of our reviews on Google, Facebook, and Houzz to see why so many people trust Exact Landscapes to bring their vision to reality. Or check out our gallery of work for inspiration. 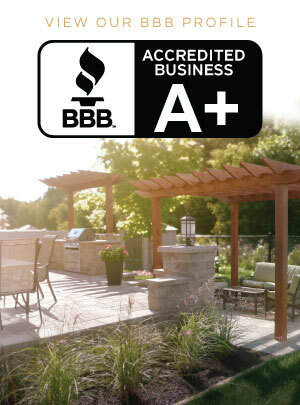 Contact us now to schedule your landscape consultation.